Thanks to Yale Alama for sending this photograph and the following comments to Retiree News. Wanted to send you all a picture of what we call Da Kupuna Klub (HIARNG). A bunch of retirees that got together for lunch and a good time. This luncheon was held in the 99 Ranch Market food court. Harry Miller was visiting from his home in Arizona. 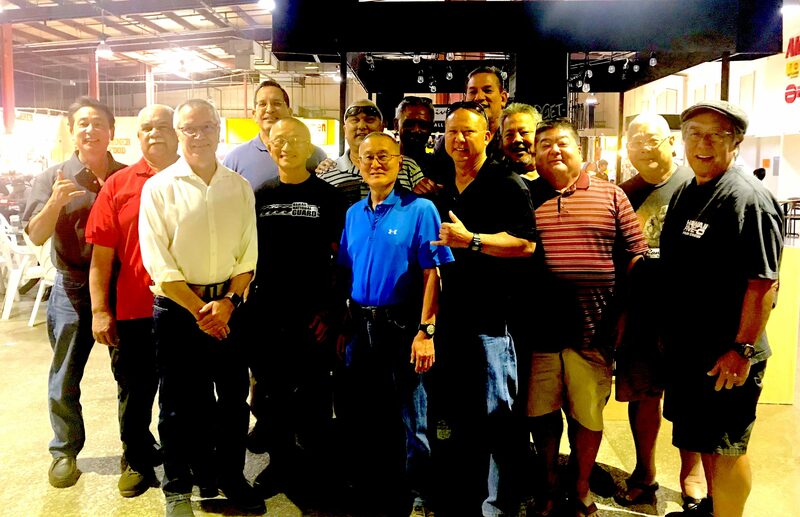 Thanks to Bob Inouye who helped with identifying the Hawaii Army National Guard retirees. Bob mentioned that Tim Galbisoi was at the luncheon, but not in the photograph. « Is Medical Pot a Blessing for Seniors?